Do you remember all these newsletter popup extensions? How good are they? As the evidence from practice shows, all such tools essentially increase the number of subscribers in comparison to a common newsletter section. Now, imagine that you can send such popups right to a browser even if a page with your store is closed. 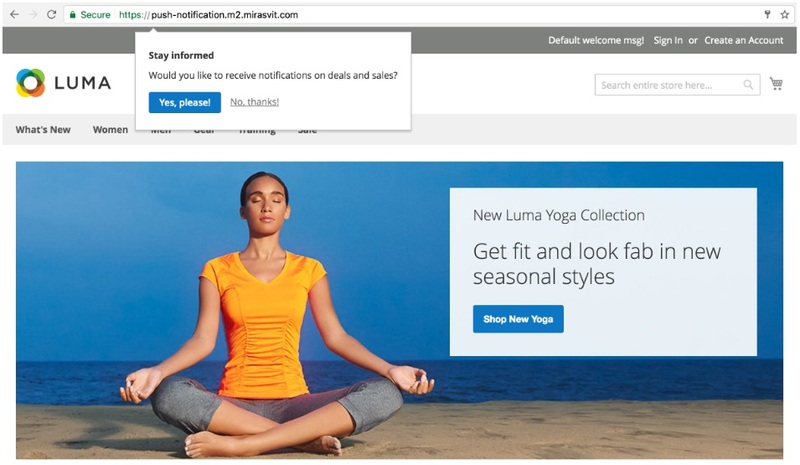 Meet the Magento 2 Push Notifications extension by Mirasvit. This tiny tool adds a new effective communication channel that can be used to promote sales, important events, or anything else. Below, we describe how this Magento 2 module works from the perspective of both buyers and administrators. What about email notifications? – you will ask. There are so many useful follow-up Magento 2 extensions that help to decrease cart abandonment and increase sales. Let us tell you that they are no longer helpful. At least, their coefficient of efficiency is much lower than it was several years ago. An average customer has several accounts on social networks, he or she is subscribed to various news feeds and updates on large media sites, and don’t forget about different services, platforms, and jobs. All these sources generate emails. As a result, from dozens to hundreds of emails overflow each mailbox every day. Some folders are not even viewed, and chances are email notifications from your ecommerce Magento store go right there. 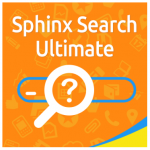 Consequently, your connection with customers exists, but a customer does not want to participate in the game. The old methods stop working, so new ones should be implemented. Therefore, we recommend you to pay attention to the Mirasvit Push Notifications Magento 2 module. How does the extension solve the problem? It allows you to send notifications right to the browser, so customers always see your new offers, sales, new arrivals, or important events. It is not even necessary to open a tab with your ecommerce storefront: Magento 2 push notifications are also displayed if your store page is closed. Besides, the extension works equally well on desktop and mobile devices, so you don’t have to be afraid that your Magento 2 push notifications won’t reach your mobile audience. Another advantage of push notifications over follow up emails is that they are displayed and read right after you send them. As for emails, several days can pass until a customer decides to read your message. This leads to almost 10 times higher CTR in case of push notifications compared to emails. Now, the Mirasvit Push Notifications Magento 2 module supports Chrome, Opera, and Firefox. 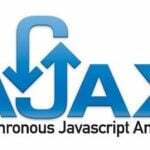 Of course, it would be better to see a bigger list of browsers, but these three a widely used among your buyers and potential customers, so don’t hesitate to install the module. Eventually, it will help you get extra profit. 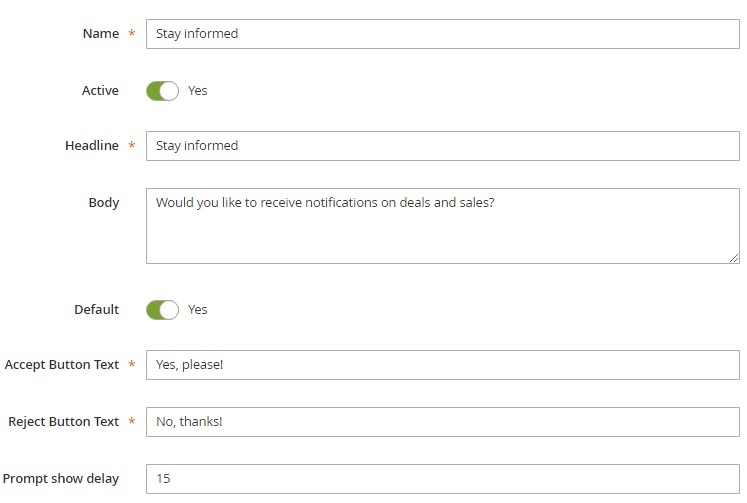 As for customer experience, the Mirasvit Magento 2 Push Notifications module requires only one action to subscribe to browser popups: it is necessary to click ‘Yes’ when the extension invites for the subscription. Next, messages will be displayed whatever tab is open. Note that there are two ways Magento push notifications can be shown to customers. 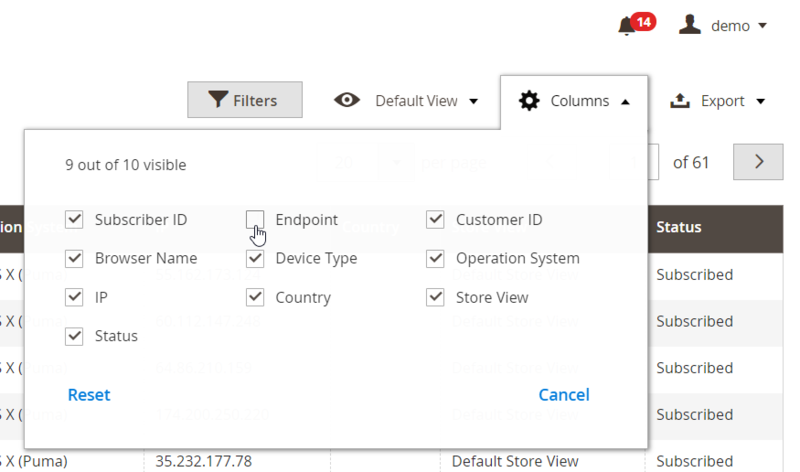 First of all, you can create multiple rules on the basis of events related to various activities: a customer is logged in, a cart is abandoned, an order gets a new status, a product appears in a wish list, and others. Secondly, the Mirasvit Push Notifications Magento 2 module allows admin users to start notifications manually. You can inform either all subscribers or selected customer groups. This allows creating customer group-based promotions. Let’s see how things are done in the backend under the hood of the extension. 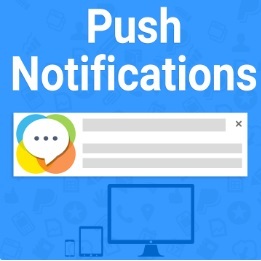 All Magento 2 push notifications are gathered under Marketing -> Push Notifications -> Notifications. The grid displays a notification ID, name, status, state (scheduled, pending, sent, or draft), type (triggered or manual), template, and various stats (how many times each notification was pushed, fetched, and clicked). Besides, you can edit or delete each notification via the ‘Action’ column. While editing a notification, you have t0 deal with two sections. The first one is called General Information. Here, you can type a name for your Magento 2 push notification, enable it, choose a template (alternatively, a new template can be created right here), as well as a notification type. Note that the chosen notification type totally changes the second section. In case of a manual notification, you should decide whether to send it immediately or on a specific date. If you decide to choose a triggered notification, select a trigger event. 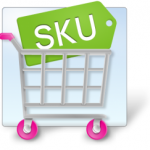 All events are divided into 10 categories: Customer, Admin, Cron, Product, Newsletter, Shopping Cart, Sales, Wishlist, Admin Notification, and Review. Don’t forget to save the notification template after setting all options. As for subscribers, you can view them under Marketing -> Push Notifications -> Subscribers. The grid here displays such parameters like Subscriber ID, Customer ID, Browser Name (Opera, Firefox, Safari, and Chrome are supported), Device Type (Desktop, Tablet, or Mobile), Operation System, IP, Country, Store View, and Status (Subscribed). Besides, you can activate the Endpoint column to get more detailed information about your subscribers. As for templates used in push notifications, they are gathered under Marketing -> Push Notifications -> Templates. Four templates available by default are Restore cart, Delivery, New Arrival, and Order was changed. For each template, you can see an ID number, icon, name, subject, body, and destination URL. While editing a template, you can change its title, subject, body, and destination URL, as well as upload a new icon. All changes are displayed on the right. Start typing something in the ‘Subject’ section, and it will be shown on the preview. The same is about body and icon. Besides, you can always check how the template is displayed to customers. Hit ‘Send test push’, and the Magento 2 push notification will be displayed. There is also a section with prompts under Marketing -> Push Notifications -> Prompts. Usually, only one prompt is necessary to ask a store visitor whether he or she wants to subscribe to Magento push notifications. The appropriate grid shows a prompt ID, name, status, headline, and ‘Is Default’ state. While adding or editing a prompt, specify its name, status (set ‘Active’ to ‘Yes’), headline, body, enable the ‘Default’ option, type text for the accept and reject buttons, and set prompt show delay time. That’s all. You’ve just mastered the backend section of the Mirasvit Push Notifications Magento 2 module. As you can see, it was rather easy. Now, let’s take a look at the frontend appearance of the extension. It is quite unobtrusive and intuitive. Thus, a customer will probably react positively to its appearance. In the modern world, you have to deal with fast-paced ecommerce. Tools that were very effective yesterday lose their importance today and are abandoned tomorrow. 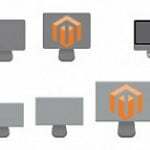 This principle is inevitable in a constantly developing environment, so we always try to introduce you to the latest attainments of the Magento ecosystem. Today, it was the Mirasvit Push Notifications Magento 2 extension. The module provides a much more efficient way to inform your customers about everything that happens on your ecommerce storefront in comparison to standard email notifications, but it doesn’t mean that the latest should be abandoned. We recommend you to use both solutions together to achieve maximum results. Just check this comparison to find the extension that suits your particular ecommerce needs: Magento 2 Follow Up Email Extensions Comparison.